Our project was shortlisted for the 2017 WISE Awards. The WISE Awards program recognizes education projects from around the globe for their innovative approach to solve the real-world obstacles to education. Click here to see this video on Youtube. Click here to see this video on Youtube (7.15' - 11). Our Co-Director Rupert Gatti worked with OPERAS to develop OPERAS Platforms and Services White Paper. 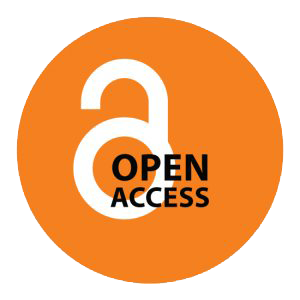 Rupert Gatti contributed to the Universities UK Open Access Coordination Group's July 2018 report Open Access Monographs about the transition to OA for academic books. Rupert Gatti and former Editor Mike Mierowsky wrote for the Association of College and Research Libraries on funding Open Access monographs. Our Managing Director Alessandra Tosi wrote an article for The Telegraph on the revolution in online learning and the urgent need for Open Access. David Matthews' piece on OBP in Times Higher Education discussed our initiatives to provide Open Access monographs to readers in the developing world. Robert Darnton mentions us in his article for the New York Review of Books. The Chronicle of Higher Education writes about OBP as an example of OA publishing in the Humanities and Social Sciences. We are featured in Times Higher Education in an article by Paul Jump entitled: Research Intelligence - Unbound Possibilities. Our Co-director Rupert Gatti had an article published in The Guardian Higher Education Network Blog: Open Access: 'We no longer need expensive publishing networks'. Our successful funding campaign to "unglue" Oral Literature in Africa was covered in The Chronicle of Higher Education: Start-up Hopes to Create Free Digital Version of Published Books and Poets & Writers: Digital Digest: Crowdfunding for the Literary Set. Author Ruth Finnegan writes about her experience of publishing with us in The Independent: Open Access: Taking Academic Publishing Out of its Ivory Tower. One of our directors, Rupert Gatti, discusses Open Access, copyright law and OBP in CAM, the Cambridge University Alumni Magazine: Access All Areas. We have been featured on the website Open Access Success Stories, which chronicles successful OA ventures across Europe: Open Book Publishers. University of Kent, Office for Scholarly Communication "Innovation in Scholarly Communication: Open Book Publishers – An Open Access Publisher Writes"
LSE Impact "ScholarLed collaboration: A powerful way to grow Open Access publishing"
University of Kent, Office for Scholarly Communication "‘Do you come here often?’ Starting the conversation on DOI’s for Book Chapters"
Unglue.it: "Meet Open Book Publishers"
Open Knowledge Foundation: "Open Book Publishers Releases The Digital Public Domain"
Society Matters: "Is Open Access the Future of Academic Publishing?" The Enlightened Economist: "Copyright and Academics"
Suite 101: "Open Book Publishers' Online and Printed Academic Monographs"
The Stoa Consortium: "Open Book Publishers: Cicero"
Dymvue: "You Can't Come In, I'm Changing!"